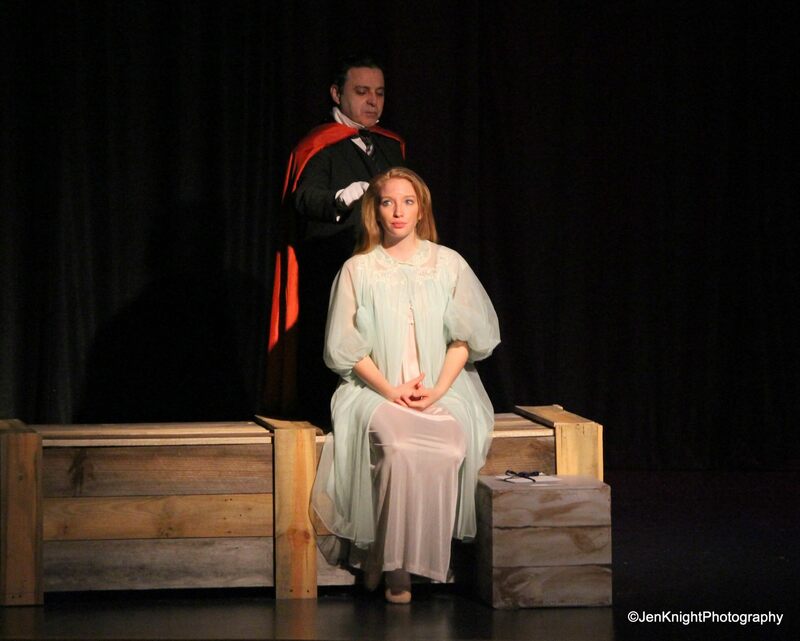 Commissioned by and adapted for the Stratton Players in Massachusetts, Jack Neary's DRACULA is a faithful rendition of Bram Stoker's timeless classic tale, designed with economy of production in mind, allowing for a simple or elaborate presentation, depending on the capablities of the theatre company. Dr. John Seward, a renowned psychiatrist, interviews a new patient, a rather intense fellow named Renfield, as Seward's ward, Mina, frets over the seeming disappearance of her fiancee, Jonathan Harker. Harker had been assigned to travel to Romania for his real estate firm, to facilitate the sale of a London estate to a certain Count Dracula. When Harker fails to return to London at the appointed time, and as several strange and frightening incidents occur involving Mina, Renfield, Seward and others, a web of intrigue and suspense casts a pall over the proceedings, and the Count, now residing close by, is the suspect of great, terriifying speculation. A fast-moving, challenging rendition of this great work of horror.